The domestic unit opened with strength at Rs 71.39 at the Interbank Foreign Exchange and advanced further to trade at 71.38 against the US dollar. This is the highest level since September 4. 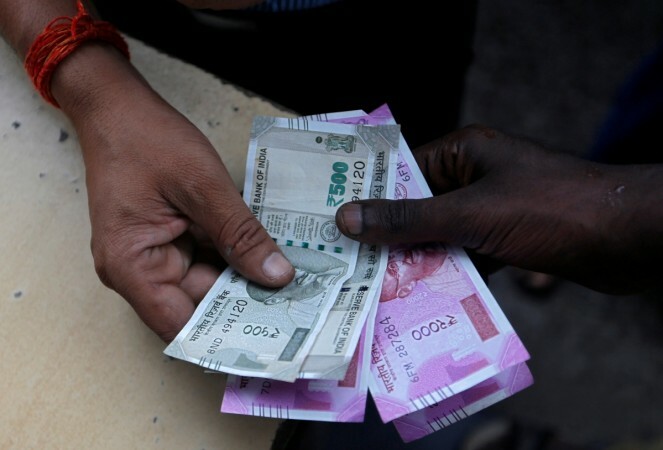 Continuing its rising spree for the sixth straight day, the rupee appreciated by another 29 paise to trade at nearly three-month high of 71.38 against the dollar in opening trade Tuesday on persistent foreign fund inflows. Besides, the dollar's weakness against some currencies overseas also supported the rupee. Meanwhile, the Reserve Bank and the government Monday, agreed to refer to an expert committee the contentious issue of appropriate size of reserves that the RBI must hold, while restructuring of stressed loans of small businesses would be considered by the central bank. The domestic currency had gained 26 paise to end at a 10-week high of 71.67 against the dollar Tuesday supported by steady forex inflows amid a crucial RBI board meeting. Foreign institutional Investors (Fiis) bought shares worth Rs 1,103.36 crore Tuesday, as per provisional data. Meanwhile, the benchmark BSE Sensex slipped by 104.41 points, or 0.29 per cent, to 35,670.47 in opening trade.